Our practice is staffed by a team of highly-experienced dentists who are committed to giving everyone in Lincoln a smile they are always proud to show off. Each one has attended some of the finest educational institutions in all of dentistry and continue to refine their skill set by taking continuing education courses every year. When you come to Williamsburg Dental South Street, you can trust that your smile is always in good hands. Below, you can get to know our fantastic doctors a little better. Dr. Andre Rossini grew up in Brazil and received his first DDS degree at the capital of Paraguay where he practiced dentistry for 3 years. He then earned a Master of Arts in teaching from UNL and attended the College of Dentistry at the University of Nebraska Medical Center in Lincoln to earn his second doctorate. 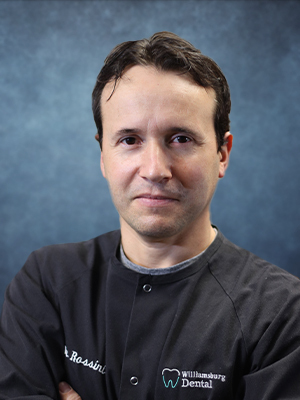 In addtiton to his extensive educational background, Dr. Rossini speaks English, Spanish and Portuguese. Dr. Rossini and his wife Laura have been proud Lincoln residents for the past 10 years. Dr. Rossini’s wife is a teacher for Lincoln Public Schools, and the couple has just become parents for the first time, a healthy baby girl named Nina. A Husker through and through, Dr. Callie grew up in Lincoln and knew she wanted to come back to the area after school. She grew up helping out on the family cattle farm near Aurora and enjoyed spending her weekends and school breaks there helping her family. She learned later that her love of people and helping them made the world of dentistry sound like the perfect calling for herself. Dr. Callie is a creative person and loves that dentistry involves a certain amount of artistic ability. Days when patients leave the office after achieving their most beautiful and desired smile are most rewarding for her. 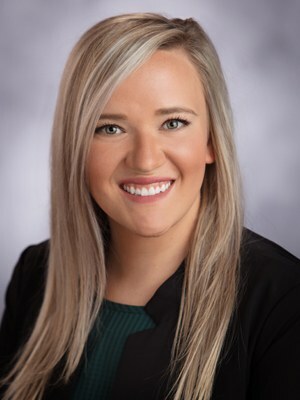 Dr. Callie earned her doctorate from Creighton University School of Dentistry and is certified in Invisalign and minimal oral sedation. She is currently a member of the American Dental Association and Nebraska Dental Association. Outside of work, Dr. Callie enjoys traveling and being able to experience new places and people. She loves spending time outside hiking or inside reading. Dr. Callie is a very personable doctor who's interests include trying new restaurants, theatre, podcasts, dogs, the TV series The Office, and all things coffee. Williamsburg Dental (402) 488-9022 2746 South St.